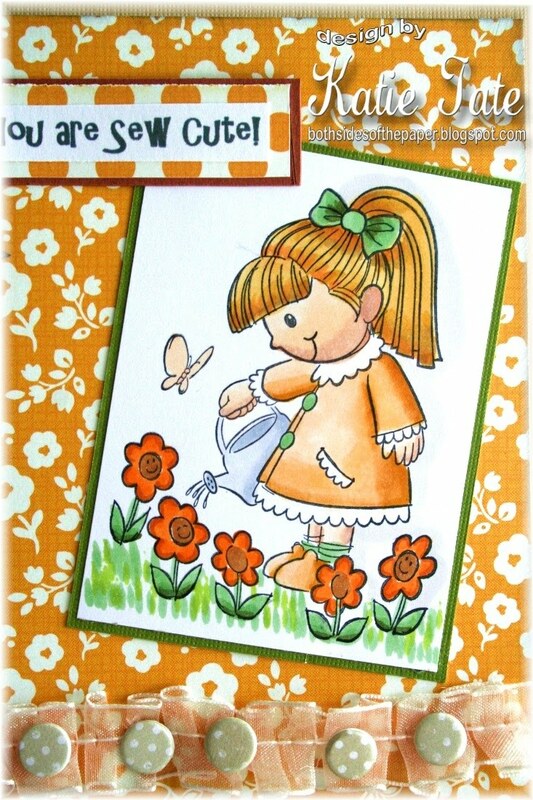 It's time for the final card for my November Guest Spot at Really Reasonable Ribbon! This time I decided to bring a little late Sunshine into your life with this cute Stampabilities character! I love how the two ribbons look when layered over each other. I know it's a corny sentiment but I loved the ribbons so much that I wanted them to be the focus of the card and so I created and cut spools to display them. I have had a wonderful month here at RRR and thanks Bonnie for asking! 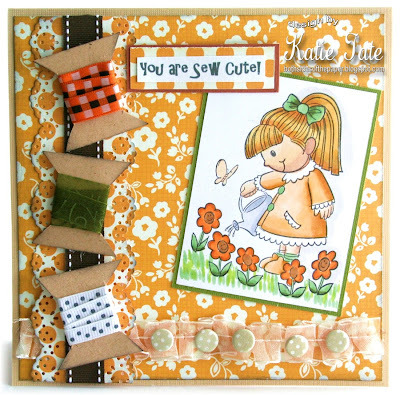 Your card is sew cute!!! 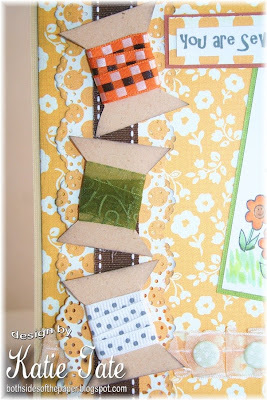 Love the you used the spools to showcase more ribbon! She is cute. Very nice. Wonderful card Katie! It's been a pleasure to have you as our guest designer this month! !